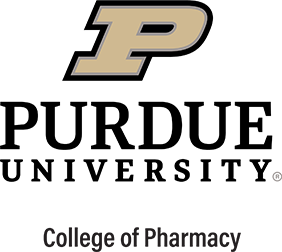 Purdue College of Pharmacy has earned a reputation as a global leader in drug discovery and innovation. Few pharmacy programs can match the depth and breadth of our cutting-edge research facilities or the quality of our researchers, which include many of pharmacy’s most preeminent scientists and educators. Our highly active research environment is not only essential for providing students with the most up-to-date education, but also helps us attract and retain the best and brightest faculty. Research at the interface between chemistry and biology, with an emphasis is on chemical biology of mammalian systems, particularly as it applies to human disease states. This research will increasingly take advantage of the new information available from elucidation of the human genome. Drug delivery, product development, materials science, and the processing and manufacturing of pharmaceuticals. Translational research and pharmacogenomics research, including pharmacoepidemiology, in collaboration with the Indiana University School of Medicine. Pharmacy economics studies the economic relationships within pharmacy and the health-care system. Outcomes research considers questions such as the effect of pharmaceutical care on patients' quality of life and the application of new educational methodology to both patient education programs and the pharmacy curriculum. Check out some of our recent faculty publications.